← An Exit Interview With Your Employees: Why And How To Go About It? Wherever you go on the globe, there’s a cut-throat competition wailing in the job market. The reason is quite obvious, the number of qualified candidates is increasing by the day, yet organizations remain selective in terms of hiring the right candidate for its departments. Let’s admit this: there definitely is more number of job applicants than the number of jobs in the global job market. Be it opportune regions like the Gulf, the dipping oil prices making it real fierce-a-competition for expats to handle. Although, the number of corporations interested in foreign talent remains high, there needs to be a definite strategy to clinch the job offer of your dreams. Shared below are 5 such steps that if taken during such competitive times, will surely get you to the employer’s payroll. Glance carefully and implement to watch yourself go the distance. It all starts with the fact that you should be in the right condition to accept the reality in the market today. Before kicking off a job you’ve been offered, think about the hundreds who are behind you, waiting for the right opportunity to make a grab. Probably, it’s not even going to matter to the employer. After all, he’ll make a zillion new hires for every one he drops. It’s a genuine reason, if you’re not getting the pay and job title you desire. Still, it’s also imperative to understand the amount of rejections an employer is used to. It won’t take him even a split second to rule you out and consider someone with lesser number of conditions. It sure does happen during numerous instances that caught up in the mundane job search activities, you don’t feel the need to tweak your resume every now and then. However, this a grave sin to be committed on the job seeker’s part. Every job role has a different set of skills requirement, which need to be reflected from the resume clearly. Make sure you invest enough thought upon the resume and all that needs to be included, before hitting the send button. In addition to this, stay watchful regarding the most common of resume mistakes that make all your job search efforts go in vain. The prime ones include, not being contextual while talking about your work experience, not quantifying your achievement s and letting out unnecessary details in the resume. Surf through the internet, and you’ll find a zillion job search networking portals offering an opportunity for the job seeker and employer to connect. For sure, there’s a wide network base you can create to help you with career progression in general as well, but limiting to the same is no alternative. What stands significant is attending events, seminars and workshops related to your field and getting in touch with industry experts directly. They might not remember a Facebook profile they saw a few weeks ago, but would definitely remember somebody they met in person at an event. The number of job vacancies you come through, are not even half of what are actually available in the market. 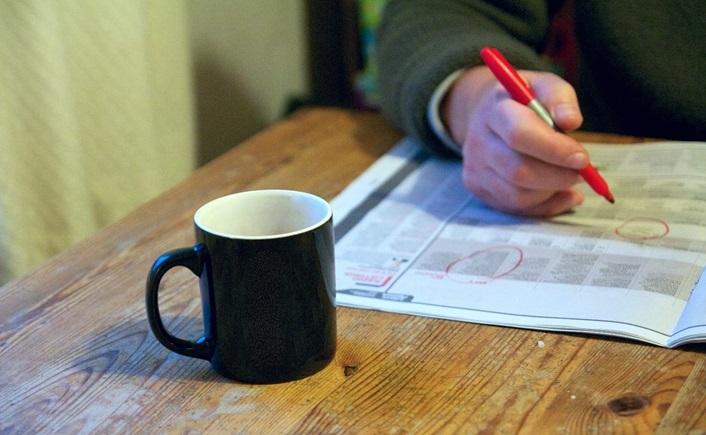 Here steps in the importance of making a move in the hidden job market. This is the right time to stay on an active lookout for referrals and make it to the employer’s room, before your competition does! Lookout for your school alumni, old colleagues, seniors at university or volunteer for a social cause simply. These aren’t just ways to build your network, but to get into a job market that is virtual for a major chunk of your competition. How so ever qualified and experienced you may be, making it to the interview room is just the beginning of a challenge to continue. The real fight lies in making a good impression during the interview. Considering the fact that it’s going to be one in a million opportunity, undergo a thorough research about the company, dress aptly and keep all the essential elements in mind. Make sure you there is enough preparation, before you start desiring your dream job. As they say, first deserve then desire. Anshuman Kukreti is a professional writer and a keen follower of the global job market. An engineer by qualification and an artist at heart, he writes on various topics relating to employment across the globe. How to Handle Rejections When Job Hunting?